Let us know which tours you are interested in through our Trip Builder. We will then reply with detailed information. Book more than one activity with us to receive a US$10 discount per person on each tour, and a US$5 discount on our Black List Tasting! On this tour we visit two exclusive wineries in the morning and taste up to their top and icon wines. We then continue to a multi-course wine pairing lunch of gourmet Argentine cuisine. At all wineries we upgrade the wine selection to the very best, like on our deluxe tours. 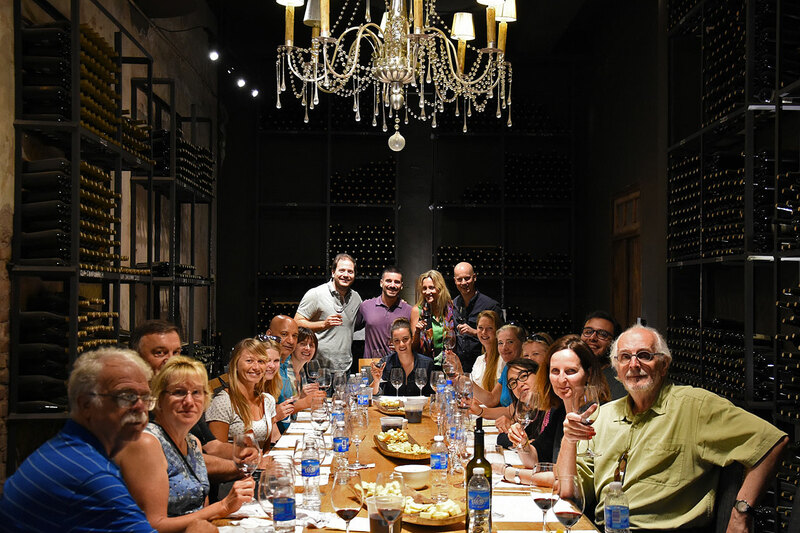 If there are more than 8 people for this tour, we will go with two vans and two guides, meeting up at the different wineries (maximum two groups of 8 people). The wineries always make a special effort for us on this day, making it all the more festive. Ampora Wine Tours, Sarmiento 647, Mendoza, Argentina, Tel. (54 261) 429 2931 | Travel Agents | Privacy | Sitemap | © 2006-2019 Ampora S.A.